There's a TLDR at the end. 1) Use Power → Soul Capture (mechanics are the same as Freddy’s Dream Demon— hold down the button to bring up a reticle and when it is on a survivor, the survivor’s soul is captured) -- The Curse captures the soul of a healthy or injured survivor within 10 meters. Once The Curse hits a survivor with this power, he captures the soul in his doll. The whole process takes 4 seconds. 2) Use Secondary Power → Cursed Doll -- Curse the doll and drop it on the ground. The action takes 1.5 seconds. (Hold the button down the entire time; releasing the button before the action is complete stops the action.) Fifteen seconds after the doll has been dropped, the curse takes effect. Any survivor whose soul was captured in the doll becomes cursed --- They have the broken status effect, even if they are healthy. Cursed survivors, however, can fully recover from the dying state. When the cursed doll becomes active, a cursed land that has a 28-meter radius is created with the doll located somewhere inside it, not necessarily at the center. The cursed land causes no visual changes, but survivors inside the cursed land hear the terror radius heartbeat, which remains the same volume and tempo regardless of how close the survivor is to the doll. Your secondary power cannot be used within 32 meters of a hooked or dying survivor or in the basement. Survivors cleanse the cursed doll the same way they cleanse totems; however, it is not a totem so Thrill of the Hunt will not work, nor is it a killer trap so Small Game cannot detect it. But a Map with Red Twine can detect it. Once a cursed doll has been cleansed, any survivor cursed by that doll has the broken status effect removed and their souls returned. The Curse cannot capture souls if he doesn’t have a doll. When a cursed doll has been cleansed or when all survivors whose souls are captured in the cursed doll are sacrificed, dead or have escaped, The Curse immediately gets a new doll. Yellow 5 -- The Curse can detect cursed survivors within 28 meters. Green 5 -- Cursed survivors suffer from the exhaustion status effect for 90 seconds. Purple 1 -- When a cursed doll activates, it doesn’t create a cursed land. The cursed doll runs out of power in 2 minutes. Purple 2 — The soul of the survivor who cleanses a cursed doll is captured by The Curse in his new doll. Purple 3 — The Curse has one extra doll. Purple 4 -- The Curse can detect cursed survivors within 28 meters and strongly detect cursed survivors within 16 meters. Red 1 -- A healthy Obsession becomes injured when cursed. Red 2 -- To create a cursed doll, The Curse must hit each survivor with soul capture twice. His movement speed is tremendously reduced (by 10 percent to 105 percent). Once The Curse has created the cursed doll, the cursed land spreads over the entire map, the cursed doll cannot be cleansed, his movement speed is increased to 115 percent, and he can kill survivors by his own hands. After their souls have been blackened for 30 seconds, they will be afflicted with every Torment the killer has equipped. Survivors can purify their souls by praying to the Entity at shrines located throughout the map for 8 seconds; Each map will have 4 shrines, with 1 shrine per quarter section. Once purified Torment Status Effects will be removed and any blackening of their souls will be reduced to 0, meaning survivors can always pray at shrines even if they are not afflicted with a Torment. 1) Schadenfreude -- A Torment that causes items to backfire on the user. 2) Spontaneous Human Combustion -- A Torment that causes survivors to become aflame. The flames do not harm the survivor but do make them easier to spot and hear. 3) Hyperfocus -- A Torment that causes survivors’ perspective to switch to first person. Mori: Dwight looks up in terror as The Curse points his ceremonial mace down at him. Dwight screams as the weapon turns into a real snake. In a flash, it drops the heart and slithers inside Dwight’s mouth, disappearing down his throat. The Curse holds the mace’s shaft above his victim, and the snake bursts forth out of Dwight’s chest with his still beating heart in its mouth in an explosion of blood, wrapping itself around the shaft as it emerges. The snake, with its fangs sunk deep into a new prize, then turns back into the steel snake he was moments before. Dwight lies dead on the ground with the heart of The Curse’s previous victim by his side. 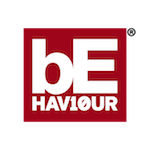 And as for the backstory, if BHVR actually chose to make The Curse (which would be freaking awesome), I’m sure they could write something much better than I could. TLDR The Curse is a Voodoo-inspired killer who captures survivors' souls in his doll and curses it to give them the Broken Status Effect. Survivors must find the Cursed Doll and cleanse it to remove the Broken Status Effect. The Curse also introduces a new type of Perk called Torments that hamper the survivors. I had a lot of fun coming up with this. Thanks for reading and let me know what you think! 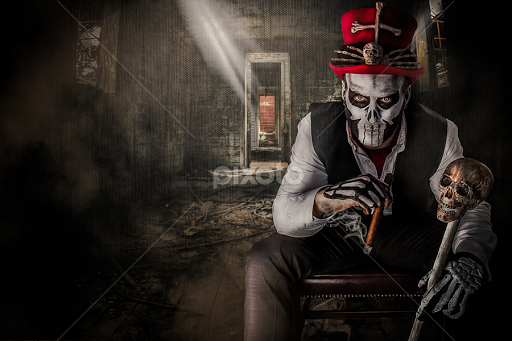 Never actually considered Baron Samedi as a killer, interesting idea. Thanks for the comments! I think The Curse would work well and be a lot of fun to play for several reasons. 1) A lot of people have posted on forums that they wish they could place their own totems. Well, essentially, The Curse lets you place one "powerful totem" wherever you want, whenever you want, likely multiple times in a match! 2) People playing The Curse will have to decide when to curse the doll. Do you wait until all four souls are captured to curse the doll or do you curse it when you only have 1 or 2 souls? More choice = More fun. 3) The Curse either slows down the game in a fun way or makes the game more dangerous for the survivors. Instead of the game being slowed down by having to mend, snap out of it or remove a RBT, which is just holding down a button, hitting a button at the right time and running around to easy-to-find locations on the map, respectively, The Curse slows the game down by making survivors have to go on a "treasure hunt." And if they choose not to look for the doll, then they better be sure to hide and evade The Curse well because he turns survivors into No Mither mains without No Mither's benefits of no bleeding and reduced sound. 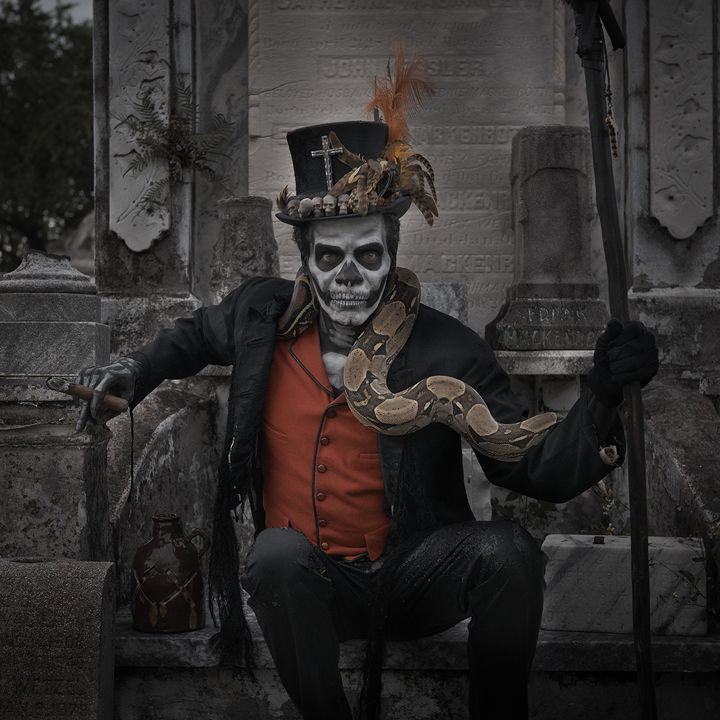 As for the look, I think Baron Samedi looks cool! But any creepy Voodoo look works for me. This is incredible. I have a strange feeling that a voodoo killer is on their list. It would be interesting if you can create perks and a survivor to go with this chapter. I know you want to leave it up to the dev but I’m interested to see what you have to offer. he turns survivors into No Mither mains without No Mither benefits. That's not true though - your post explicitly states that "Cursed survivors, however, can fully recover from the dying state." which is the No Mither benefit. Overall I can say I like the "placing a totem" idea but I'm not so sure about the way you're doing this. You're essentially imposing broken effect on to the Survivors, but what if a Survivor is already running No Mither? What if several do? What if it's a No Mither SWF team? They are pretty popular on youtube these days. So the Curse power is useless in these situations. Also there is a Survivor perk Deliverance that causes Broken effect after a guaranteed hook escape. When playing against the Curse the Suvivors will have no reasons to doubt if they shoudl use it at the moment, or later - the killer power is already there, making them Broken, making the 100% chance of hook escape have no drawbacks. The other thing I'm not fully comfortable with is that you're not using the Doll's totem radius for anything other than telegraphing the relative position of the curse totem. Why not have addons that apply debuff in the Doll's radius? The Curse can detect cursed survivors within 28 meters and strongly detect cursed survivors within 16 meters. What exactly is "strongly detect" ? Out of all the add-ons, I thought the most about whether to include the 2nd red add-on as I too thought it might be overpowered. But then I realized that A) it's a red add-on so it should be strong and it has a strong counter to it: If just 1 out of the 4 survivors is good at stealth, the survivors will have a good shot at winning. I also wanted to include it because I like it when killers have an add-on that completely changes up their playstyle. Wow! "This is incredible." Thanks a lot!!! I tell you what; if I come up with three killer perks that are good, I'll add them. Thanks a lot for the critique and questions! You're absolutely right; I shouldn't have said "without No Mither benefits." I was only thinking about No Mither's benefits of no bleeding and reduced sound, and stupidly forgot about its most powerful benefit -- getting up from the dying state. I'll edit that part to fix my mistake. 1) What if a survivor or a team is running No Mither? The Curse's power would be useless in most cases. It would only be useful if he were running the add-ons that let him detect cursed survivors, that exhausted cursed survivors or that let him kill cursed survivors. That being said, in the 500 hours or so I have in the game, I've only seen about 10 to 20 No Mither players and never more than 1 in a single match. If a full team ran No Mither, it would be disappointing not to get much use out of your power, but at least you'd be a 115% movement speed killer and only would need to hit each survivor once for them to go down. Also, The Shape and The Cannibal don't get much benefit from their powers against No Mither players, but they are still a good killer and a decent killer, respectively. 2) About Deliverance, you're right; if you're cursed and on a hook and can use Deliverance, there would be almost no reason to wait to see if a teammate will rescue you or not since you'll have the broken status effect anyway. However, if you see that a teammate is cleansing the doll or about to cleanse the doll, then you should wait because you'd be broken for the next minute if you use Deliverance even if the doll is cleansed. 3) About the cursed doll's terror radius, I only want it to be used as a way to help survivors find the doll. I feel if the doll provides no indication of where it is, it would be too overpowered and frustrating for the survivors. Yet, if I provide a debuff while the survivor is near the cursed doll, then they'll definitely know it's the cursed doll and not the killer. 4) For the 4th Purple add-on, strongly detect means that the volume of the ceremonial mace's rattling will become louder when the survivor is within 16 meters. This means that the rattling will start when you move within 28 meters of the survivor and then become louder when you move within 16 meters of the survivor. This auditory information will let you know that you are moving in the direction of the survivor. This is incredible. I have a strange feeling that a voodoo killer is on their list. It would be interesting if you can create perks and a survivor to go with this chapter. I added 3 killer perks for The Curse. Let me know what you think. Your Torments are especially cool, it's like normal Terror Radius perks but with a more powerful twist that lasts after you're gone. The effects you have are powerful yet simple, the one that turns items against the user is interesting, I was going to say that the Survivor can always abandon their item but no one does that, they're stupid and pick up their items immediatley after being hit with Franklin's Demise lol My only gripe about them is that maybe 30 seconds is too long for it to take effect? Maybe it's not? I personally have a hard time finding Survivors so I don't know how often they're within my TR, once I find them they're dead but I need to find them first so maybe my opinion on the time isn't the right one, 30 is probably fine. You might be right about the 30 seconds; it would have to be tested. The time needs to be long enough so survivors have some counterplay and long enough so survivors would want to use the shrines to remove the negative effects. If the survivors suffer the Torment effects too quickly, then they will feel there's nothing they can do to avoid them and simply put up with the negative effects. One perk that would synergize well with these Torment Perks is Whispers. You'll know when a survivor or survivors are having their souls blackened. First of all, I want to say this is a fantastic concept. I see a lot of unique gameplay opportunities with a killer like this, and forcing the survivors to go searching for the doll (or not!) would add a new layer to the decision-making process. But what if the killer drops the doll, then hooks a survivor within its terror radius? Also, what if the killer drops the doll right overtop of the basement? Would lockers block this? They block a lot nowadays. I think keys locking the hatch wouldn't accomplish much because you'd only use the key if it was already locked in the first place. Yes, it might make a difference if, say, you used the key and then the last survivor immediately died or you purified yourself or something, but that's a very unusual case. Do you what would be really cruel, though? If using a key while under the effects of Shadenfreude caused the hatch to respawn somewhere else (maybe within a certain range or after a certain time if you want to apply slight/moderate/considerable effects). Thanks a lot @Snikers ! I love your idea for Schadenfreude! It's great. I'm going to use it and give you credit for it. Thanks for reminding me about lockers in regards to Torment perks. If you're in a locker, your soul will not be blackened. If The Curse has already cursed the doll, he can hook a survivor near the doll, and he can curse the doll on top of the basement, just not in the basement or on the basement stairs. Here's my reasoning behind this: If you couldn't hook a survivor near the cursed doll, then the doll would create a deadzone that survivors could exploit by making sure if they go down, they go down near the doll, which would make it hard for the killer to get them to a hook. As for the basement, I want to match BHVR's rule that totems cannot spawn in the basement, but they can spawn around it, to make it consistent with the current gameplay structure. Also I want to create as few restrictions as possible for cursing the doll. So it is possible for the killer to camp but harder for him to do so.